Today’s book has the privilege of being a first for this blog – two reviews at the same time! Many thanks to Ange P and Sweetp for the dual review. Warning 2: there is a spoiler in one paragraph, which I have labelled. The Earnslaw family brings up a young foundling, Heathcliff. The daughter of the house, Cathy, and Heathcliff form a romantic attachment/grand passion, however, gradually Heathcliff finds that he is badly treated by all around him and he gradually becomes surly and sullen to all but Cathy. When he believes that Cathy fails to return his love he runs away. Cathy marries a neighbour, Edward Linton. Heathcliff returns and sets himself up as a man of substance in the neighbourhood. He plays on Cathy’s love for him regardless of her marriage and contributes to her gradual decline, followed by her death, giving birth to Linton’s child. Heathcliff ardently resents Linton and in an effort to hurt Linton, marries his little sister, Isabella Linton. In time, it is Heathcliff’s intention to revenge himself on all who have harmed him by completely damaging and destroying the next generation so that they are beyond redemption or happiness. Wikipedia’s Wuthering Heights entry has a selection of reviews from the time the novel was published and these were quite fascinating for people who like this type of thing. Full of people being nasty to each other (gets a bit depressing). Occasionally, I found the narrative techniques confusing so I wasn’t sure who was saying what. There is a lot of indirect narration where the housekeeper tells a 15 year old story to a convalescent patient. Well written with few plot holes. In many cases Wuthering Heights relies on human foibles such as kindness, or sympathy or a desire for material gain for plot development and this is a strength. The foibles of Heathcliff, though, are so awful and unyielding that he is inhuman. I can’t get a grip on it, and I suspect that this is my failure rather than Emily Bronte’s. It was a good read and I wanted to know what happened with it. But I’m not sure I fully understood it all. Hence the general nature of this review. I’d love to know what other 1001 book people think of this novel and any guidance to help me get a grip on it will be gratefully received! I actually finished this book sometime ago but have found myself procrastinating on writing a review -it’s somewhat intimidating to be writing a review for such a well-known classic! Even if you have never read Wuthering Heights, you may well still recognize the names Heathcliff and Cathy. This dark and angst-ridden gothic novel is one of the most famous of the Bronte sisters’ works, and is perhaps the one that divides readers the most. If you do a quick internet search of reviews, you’ll find most people either fall into the love it, or the loathe it, camp. 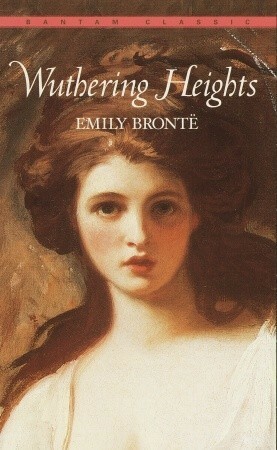 Synonymous with windswept moors, heartbreak and misery, Wuthering Heights is not a happy book. The love story is not a sweet or ardent chaperoned romance, but a stormy obsessive love that consumes the lives of all involved. Heathcliff is not a gracious romantic figure, but is brooding, often cruel and is driven to the edge of insanity by his love for Cathy. Cathy is selfish, has a wicked temper and is often just as unlikeable as Heathcliff, and yet, despite often reflecting on how totally despicable all the characters in this novel are, I couldn’t help being swept away on their passion. If all else perished, and he remained, I should still continue to be; and if all else remained, and he were annihilated, the universe would turn to a mighty stranger: I should not seem a part of it…Nelly, I am Heathcliff! He’s always, always in my mind: not as a pleasure, any more than I am always a pleasure to myself, but as my own being. Quite a declaration! Heathcliff too is totally consumed by Cathy, and when she decides to marry someone else it sets in motion a series of events that will see characters dying of broken hearts, driven to madness and the engineering of a most dreadful revenge on the next generation. Hate is just as a powerful motivator as love. Dark and melodramatic this book certainly is – with liberal sprinklings of violence and narcissism too. If you appreciate a bleak and gothic atmosphere, and flawed characters then this could be the classic read for you. While I gave it 4 out of 5 stars, I can see why some people find this book difficult. The storytelling device itself is a little odd – an elderly housekeeper, Nelly, is telling the story to a visiting Mr Lockwood. Written before the use of third person omnipresent narrators, the style is a little clunky and at times confusing, and removes the reader somewhat from the intimacy of the story. This will be a roadblock for some readers. Add to the confusion the fact that there are two Cathys, the Linton and Heathcliff names are used both as a first name and as a family name and the similarities of the names Hindley, Heathcliff and Hareton, and it is easy to see why at times it is hard to keep it all straight. Those that cannot get past the violence and the selfish nature of most of the characters will also find this book infuriatingly bleak. Others, like myself, will read it again, purely to wallow in the misery and angst. Perhaps it is one of those classics you simply have to read for yourself and decide whether it’s love or loathe. 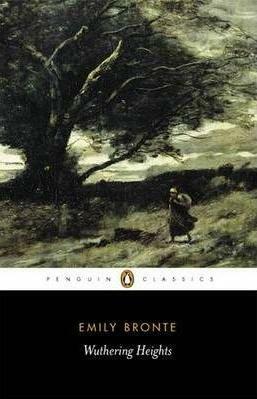 Either way, there is no denying that Wuthering Heights is a true classic, rightfully earning it’s place on the 1001 books list. Sadly, all I know of this tale comes from a Kate Bush song. Sadder still, the knowledge obtained from said song seems to be sufficient. Ha ha! This is another one that I’ve tried to avoid knowing about before I read it, but it sounds like because of the song I am in the same boat as you. I’m in the LOVE camp with this book. Dark, bleak, melancholic and relentless – and you will get more from the book than what the song offers, although the song is also on my LOVE list!